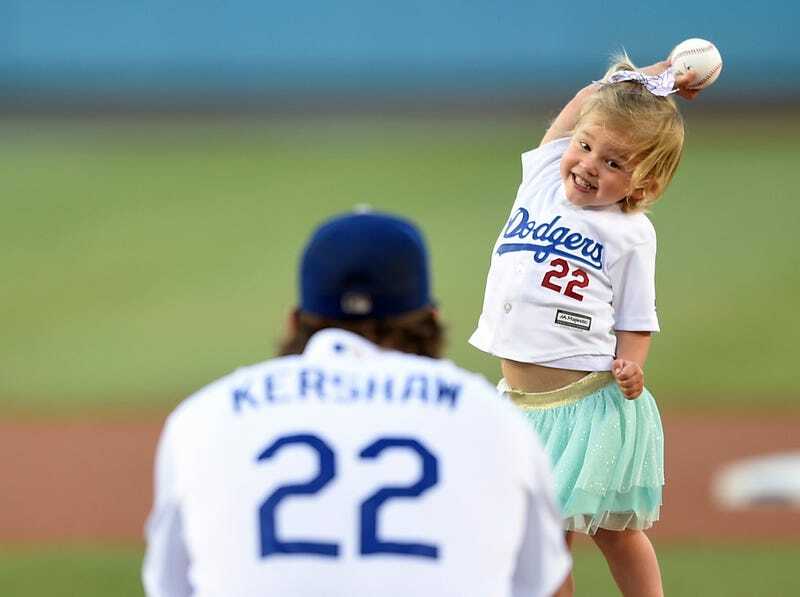 Despite a back injury that will keep him out until September, Clayton Kershaw was at Dodger Stadium for his eponymous bobblehead night, and a very special first pitch from 2-year-old Cali Kershaw. Let’s scout some film. Charley has room to improve, but Cali is most definitely an excellent sports baby.